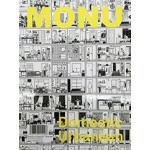 This time in Monu - What happens in domestic interiors appears to be very relevant for our societies. 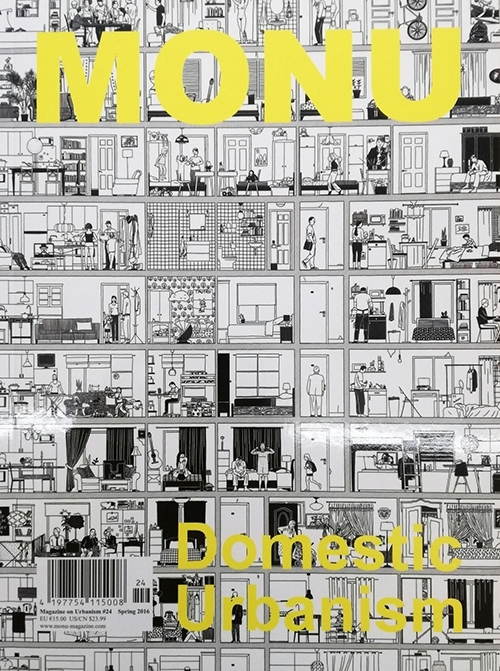 At least, that is what Andrés Jaque argues in our interview entitled "The Home as Political Arena" for this new issue of MONU. 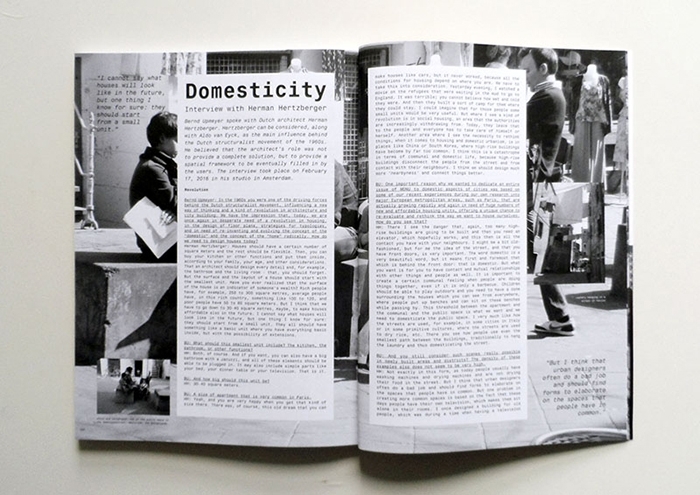 This issue, "Domestic Urbanism", deals with the domestic aspects of cities, and everything that is related to the human home and habitat, the scale of the house, people's own universe, things that are usually hidden and private. According to Jaque, a great number of the processes by which our societies are shaped take place in domestic interiors, the domestic realm, and in relation to very domestic elements such as the table setting, the Christmas tree, or the TV remote control. Justinien Tribillon - in his contribution "The Fridge, the City and the Critique of Everyday Life: a Tale of Domestic Urbanism" - describes, for example, to what extent a domestic element such as the refrigerator has changed radically the way we consume the city. Because the domestic infiltrates the urban and, vice versa, the city leaks into the house, the city needs to be seen as a continuous fabric of differential intensities rather than a patchwork of enclosed categories that distinguish between private and public, house and city, or inside and outside. In her piece "The Minor Composition of Threshold Domesticities" Lucía Jalón Oyarzun explains how our private domestic spaces are becoming increasingly more public as demonstrated by åyr, an art collective that focuses on contemporary forms of domesticity and the effects of the internet on the city. 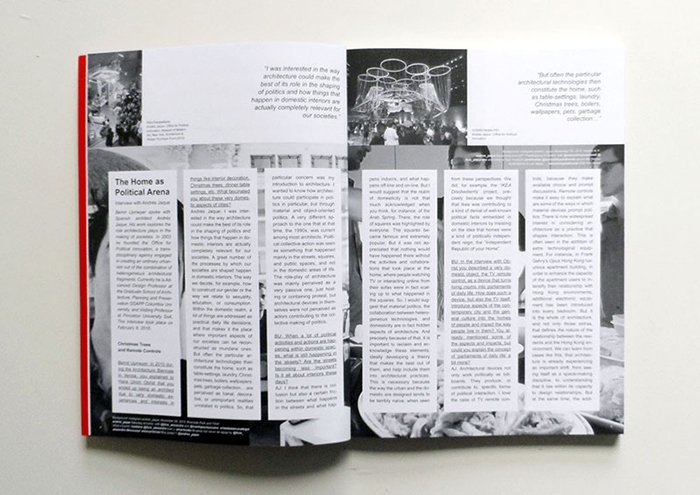 In their contribution "The Pavilion" they feature photos of Airbnb apartments that were used as exhibition spaces during the Venice Biennale of Architecture in 2014.